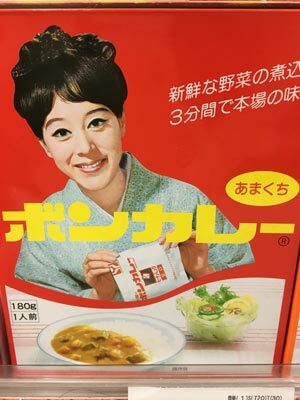 Bon Curry, the one of most famous ready-made curry in a retort pouch in Japan, has been sold since 1968 by Otsuka Food Product Corporation and its the first company in the world to make retort pouch packed curry. “Bon” is French and means good or delicious. It is sold with the picture of the lady on the package only in Okinawa. Bon Curry contains vegetables and meat, of course, and comes in three flavors; mild, medium-spicy, and spicy. And it’s easy to prepare. Boil the pouch about three minutes and pour the curry on the rice! It’s the easiest way to make delicious curry at home whenever the urge strikes.